There has been a lot of recent research completed on ways to treat and/or manage tinnitus. 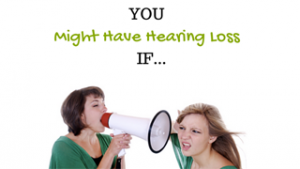 Treatment first depends on the cause of your tinnitus. For example, if your tinnitus is due to too much wax in the ears, simply removing the wax can treat the tinnitus. If one of the underlying medical conditions described above are not the cause of your tinnitus, there may not be just one way to manage your tinnitus. In most cases there is no medical way to “cure” tinnitus, only management techniques to reduce its disturbance on your life. If your tinnitus is the result of a significant hearing loss, treating the hearing loss by wearing hearing aids can also help to treat the tinnitus. These devices focus on giving the listener something more pleasant and relaxing to listen to when their tinnitus is annoying to help desensitize them to the tinnitus over time. Tinnitus can be best managed by seeing an ENT physician and/or an Audiologist who specializes in tinnitus treatment.